Beta readers are the quiet superheroes of today’s publishing. They are the volunteers who read our manuscripts to give a reader’s perspective, and show us the things we just can’t see for ourselves. Multi-award-winning author Belinda Pollard knows how you feel. She has faced all these challenges and developed unique solutions, drawing from her work as a developmental editor over two decades. This practical and highly-readable book will help you develop a customized feedback strategy for your manuscripts-—and become the writer you were born to be. 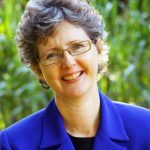 Belinda Pollard is an award-winning Australian author, accredited book editor, publishing consultant, writing coach, speaker and blogger. Her editing portfolio includes books that have won or been shortlisted for significant awards or become classics in their niche, while her own writing prizes include a Varuna Fellowship. Her advocacy for writers and editors brings publishing and speaking invitations from around the world. 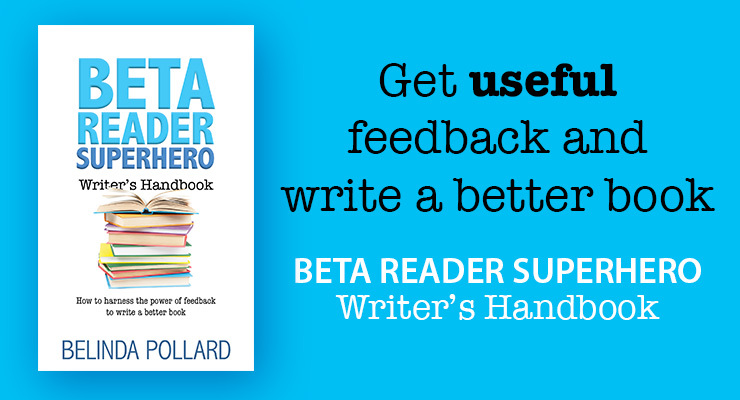 The concept for the BETA READER SUPERHERO WRITER’S HANDBOOK initially emerged from a group of blog posts I wrote… and then it went far beyond that. About 30% of the book is the blog posts you’ll find on BetaReaderSuperhero.com, which have been thoroughly updated and revised. 70% of the book is brand new content. It’s about much more than just “how to find beta readers”. It’s about wrestling with feedback as a more powerful manuscript emerges — a manuscript that is still your vision and your voice, not someone else’s. I’ve poured my heart and soul into this book over the past few years, because I see the power of feedback to change a writer’s career. I hope you enjoy reading it as much as I enjoyed writing it.